Pork chops are relatively easy to make & need only a quick sear in a hot skillet or a brief sizzle on the grill. 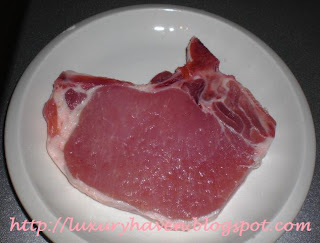 I love Pork Chops & it is one of the easiest western dishes you can cook at home. My mum loves Pork Chop too & I'd prepare this on Mother's Day for my family to enjoy. Despite being at her golden age of 81, I’m glad she’s still able to enjoy a cut of good meat. 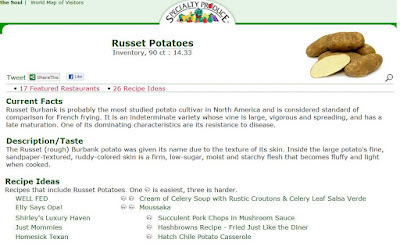 You can also find the vegetable nutritional facts etc @ Specialty Produce, featuring this recipe under their Potato (Russet) & Squash (Zucchini, Green) products! For the sides, I’d chosen Cherry Tomatoes, Zucchinis & Russet Potatoes. 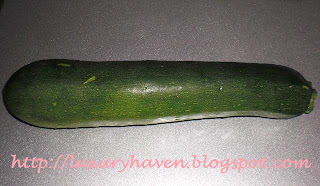 Zucchini has a similar shape to cucumber but at S$2 a piece, it is expensive compared to just about 50 cents for a cucumber. 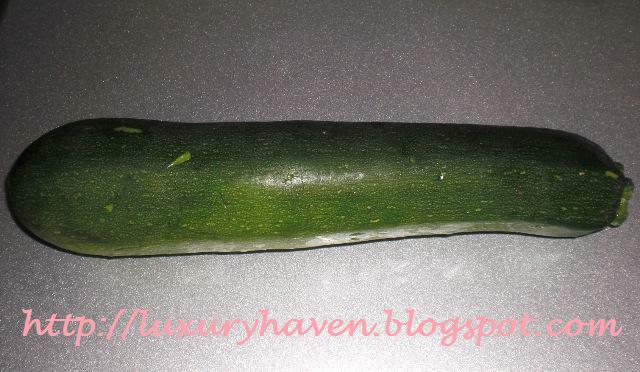 Unlike cucumbers, zucchinis are usually served cooked. 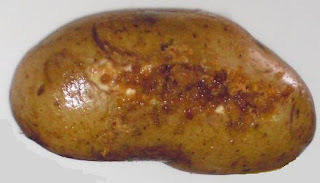 The Russet potato is oval & has a brown, or russet-coloured, net-like skin. It should be firm, not soft or spongy & should not have sprouts. 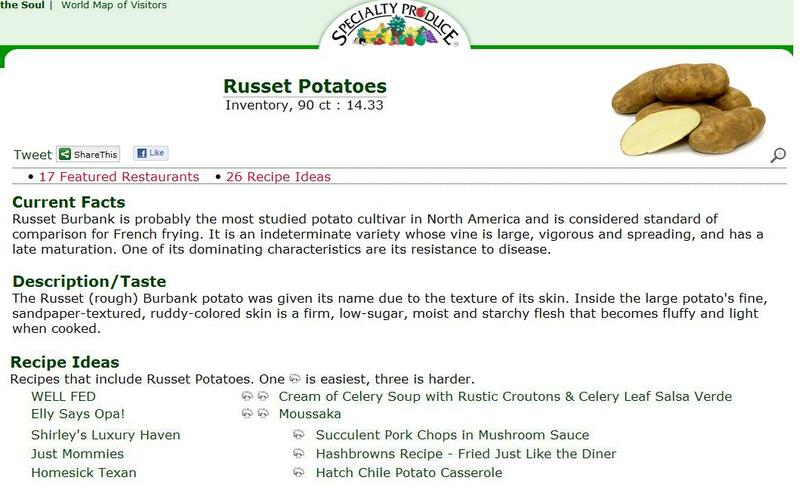 Russet Potatoes make great baked potatoes & are also used to make french fries, potato pancakes or mashed potatoes. 1. Using a meat mallet, pound the pork lightly to tenderize the meat. 2. Marinade pork with thymes, salt & black pepper for at least 30 mins. 3. Meanwhile, rinse and scrub potatoes under cold running water. Pierce the potatoes deeply with a fork or sharp knife, allowing the steam to escape during baking. Rub skins with olive oil or butter & bake the potatoes for about 10 mins, till soft. 4. 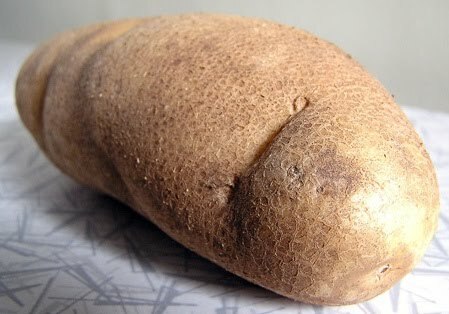 When potatoes are baked to perfection, slit across the top with a sharp knife. Remove the top part of potatoes, mash it & mix with sour cream. Add butter into slits & put back potato mixture. Top with bacon bits. 5. 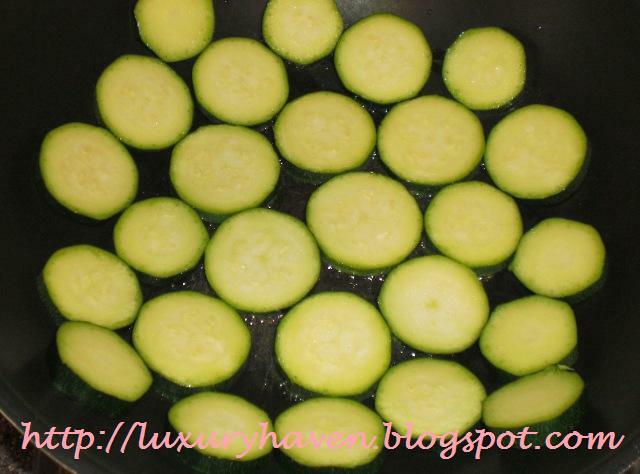 Lightly roast the zucchini on a pan, drizzled with olive oil. Brown both sides & put on serving plates together with tomatoes. 6. In a frying pan or skillet, brown pork chops on both sides in olive oil. *Do not cook pork for too long or it'll toughen. Drain & put on serving plates. Place baked potatoes on plates. 7. I love using the Japanese Goma Shabu, a good dipping sauce for meat. To make sauce, mix all ingredients in a saucepan & bring to boil. Add mushrooms & pepper. Lastly, stir in cornstarch to thicken sauce. 8. Drizzle over pork chops & serve hot. Ohmywtf, u're fast! Yap, zucchini taste better :) Left my comments on your blog. Thks for dropping by again! I love zucchini though it's quite pricey! 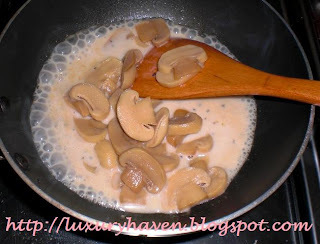 The mushroom sauce looks amazing! There is nothing better then a perfectly cooked pork-chop smoothered in Mushrooms and a great sauce! Love it! 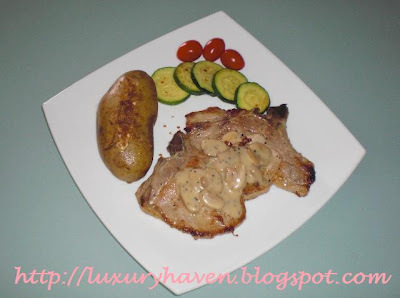 The pork chops sound amazing with the mushroom sauce! I shall try this one day, hope it turns out as good as yours! Vivian, thks for trying my recipe & do let me noe d outcome! Miranda, good to see you back! Absolutely agree. Thks for lovely comments! 5 Star Foodie, great to see u here again. 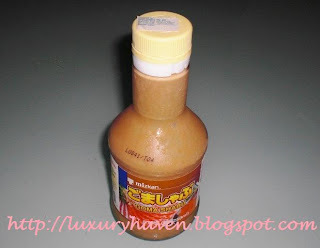 I love Pork Chop so I gonna try this one day. We did not celebrate Mother's Day this year, my mother din want any celebration cos my dad has just passed away last month. Agapejen, I'm so sorry to hear that. Thks for taking time to read my post. Take care!